This book review was written by Kate Swann, a Melbourne psychologist who brings psychological insights to all her book and film reviews. 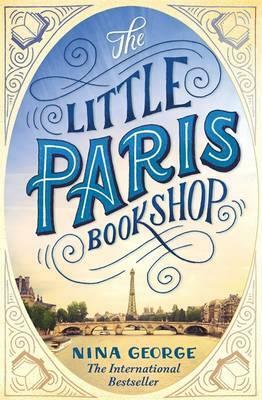 The Little Paris Bookshop is a delicious book about love, and loss for book lovers. Which means it has all of the ingredients this keen observer of life, and great lover of books needs to feel fully satiated. Why the cooking metaphors? Well, it’s set in France where food and eating are sensuous everyday experiences. And George folds her appreciation of all things culinary, skillfully into the narrative. Jean is a middle-aged man who has loved and lost. In order to keep breathing, and keep living, he has split off the painful parts of his life, never daring to venture into them. He is a man with an advanced emotional language. And he has found a unique way of expressing himself, without the need to venture into the forbidden zone of his own feelings. Over the 20 years since his love has been lost to him, he has turned himself into a literary apothecary. He diagnoses strangers, and prescribes a book or two or three to help them heal from their emotional pain. Perfect. He can indulge in his love for literature, love of observing people, and keenly honed empathy and insight. With the split off part of his life dead to him, he has developed an advanced, fulfilling, and highly appreciated skill. This means Jean lives a half-life: a life which is enriching, deeply meaningful, and external. While his internal life, his psyche, is carefully locked away and inaccessible – dead and buried. But, of course, life has a funny way of catching up with you, as Jean finds to his terror. And through a series of mishaps, the right people enter his life at the right time, and he bravely embarks on a journey into the forbidden zone. I just loved this book as it explored life and loss, and life and love. George beautifully described the torment of a person who has split off part of themselves in order to survive. At the time of the crisis, the strategy of splitting may be quite functional. But as she so beautifully demonstrates, over the years, it tends to cause more and more problems. How can you live, if half of you is dead? What are your thoughts about splitting off the painful parts of your life?